The National Survey on Drug Use and Health reports that nearly 12 million people in the U.S. have tried methamphetamine and there are nearly 4 million habitual users. An overwhelming number of users are students and young adults. 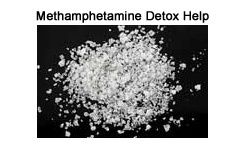 Many of these young adults believe that Methamphetamine Detox Treatment will help them overcome meth for good. Methamphetamine is also referred to as crystal, ice, meth, and glass. It is a powerful synthetic stimulant. The drug is cooked in clandestine labs using ingredients such as methanol, ether, ammonia, reactive metals and other chemicals. The process of making meth gives off toxins that are highly flammable and dangerous. Meth can be injected, snorted and smoked. It is thought that meth releases dopamine into the brain and users experience a sense of euphoria, adrenaline rush and increased sense of arousal. As meth is a stimulant, meth users can stay up for days until they eventually crash from lack of sleep. In some cases people have experienced psychotic breaks. Meth mouth is another common sign of heavy, habitual meth use. Some problems such as meth mouth that have been attributed to methamphetamine use are actually caused by poor nutrition, lack of personal hygiene, dehydration and lack of sleep, and are not side effects of the drug use itself. Once a user has developed a meth habit their life can become all about getting more meth. Users can find themselves making choices and engaging in behaviors that previously they would never have done such as trade sexual favors for the drug, stealing and sharing needles by intravenous users. These practices are responsible for an increase in infectious diseases among meth users such as Hepatitis, HIV/AIDS, as well as a number of sexually transmitted diseases. There are no actual withdrawal symptoms from discontinuing meth use, even after using it for long periods of time. However, heavy users may have a myriad of health problems as a result of their lifestyle and usage. Because meth use does not cause a physical dependency medical detox is unnecessary although some detox centers may still advertise meth detox services. For those seeking to permanently overcome a meth habit, the best method is to learn how to make long term lifestyle changes. When struggling with a serious meth habit, one might seriously consider enrolling in a program that will help you rebuild your life. Freedom Model Retreats offers a Cognitive Behavioral Learning program that takes guests through a process of intensive self-evaluation which leads to self-directed change. Our guests identify counterproductive thought and behavior patterns that have been so destructive in their lives. Then they begin the process of building new habits that are more productive and in line with their goals. While other programs may tell you that meth addiction is an incurable disease, the truth is that your meth use is a learned behavior and ultimately a choice; your choice. You are not powerless over your methamphetamine use and you can have a life that is permanently free from drug use and all the problems that go with it.